Food usually equals an instant win, but food and solid Japanese culture can overcome almost any story and visual flaws that may ever exist in a drama. Fortunately those flaws didn’t exist in this, to a major extent. There are a lot of conveniences in Japan. You can get food almost anywhere and there is almost no need to ever actually cook anything. You can even go to showy restaurants that will put on a good show of food, but what they are serving is mostly pre made and they just heated it up. This world sounds frightening and convenient. However, there is hope for there is one small restaurant called Isshouhan which chooses to do things the traditional way. They make food from scratch and take no shortcuts. You sit and eat traditional Japanese cuisine in a traditional Japanese manor. 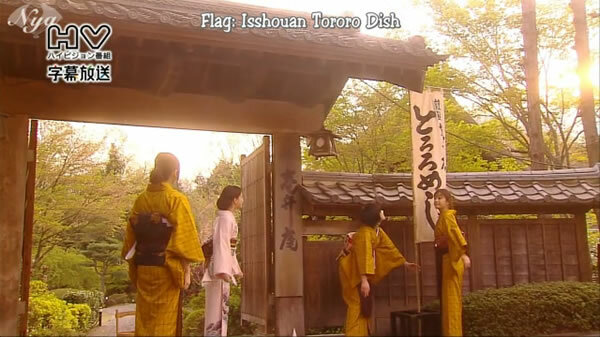 It is almost as if you have been transported back to Tokugawa era. Join Yocchan and the Okami as they battle the modern era and fight to keep tradition alive. 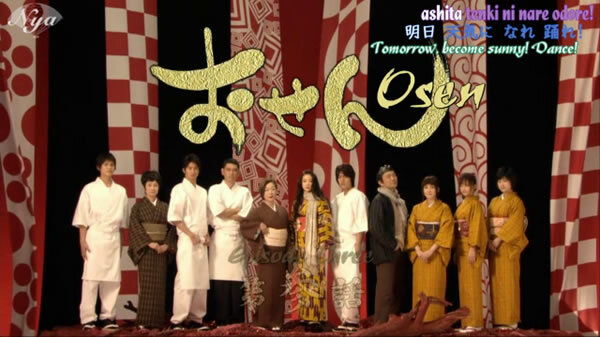 I love to learn about Japanese culture so there was a lot of win in this show so it made it very enjoyable. One of my major annoyances though had to do with the Okami drinking so much because it didn’t add to the show very much. Fortunately, after the first couple of episodes they established how much she drinks and stopped harping on it so much. This wasn’t a great drama, but it was an above average one so I am going to recommend it. I’ll warn you though this is almost strictly about trying to fight at keeping tradition alive in Japan. While it is a comedy it really isn’t a mix of anything else like romance, high school, or anything like that. Please go forth and watch, learn and be entertained. This is a guest post by my pal Buddy Lindsday from JapanGaku.com. He will be making one guest post per month in 2012. Each blog post will cover a different Japanese Drama or J-drama. Show him your support by leaving a comment if you have seen or want to see any of the J-dramas he blogs about and share this posts with your friends. Look out for many more of his “J-Drama Sundays” posts which will usually be the third Sunday in each month! Buddy Lindsey is a Japan enthusiast who likes to blog about Japan, its culture, and the Japanese Language. You can see what he is doing over at JapanGaku.